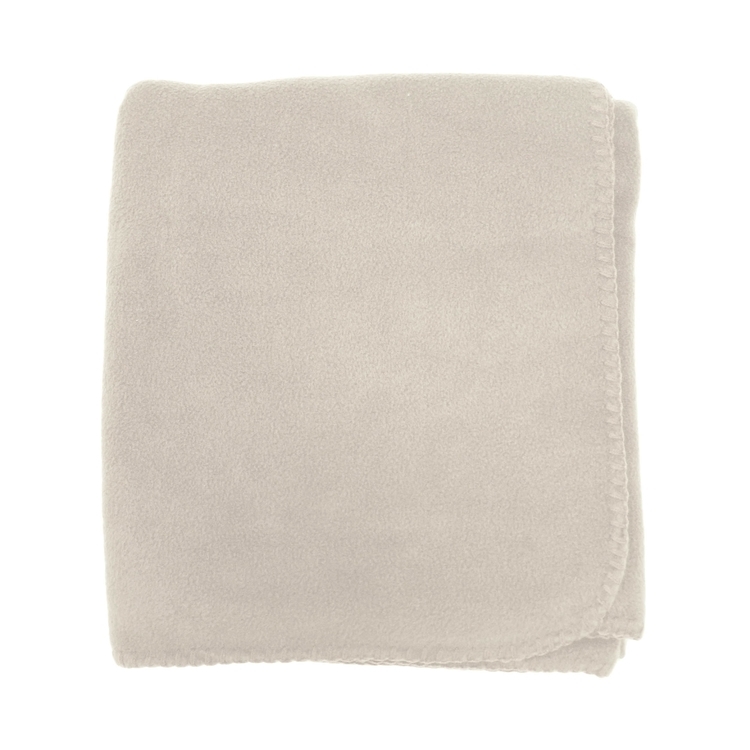 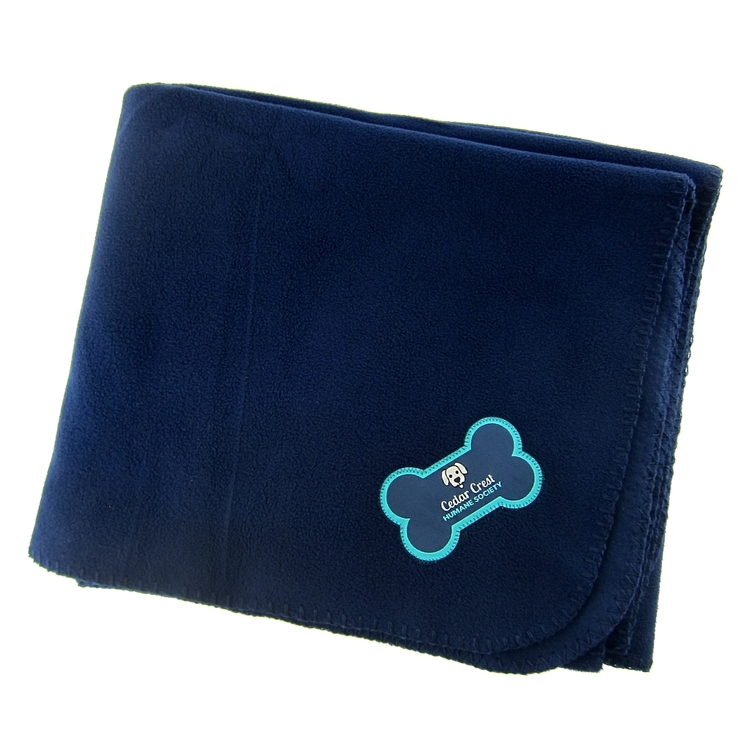 Blanket is 100% polyester, anti-pill fleece. 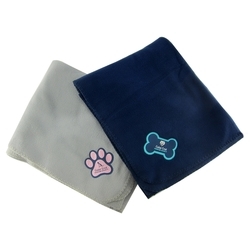 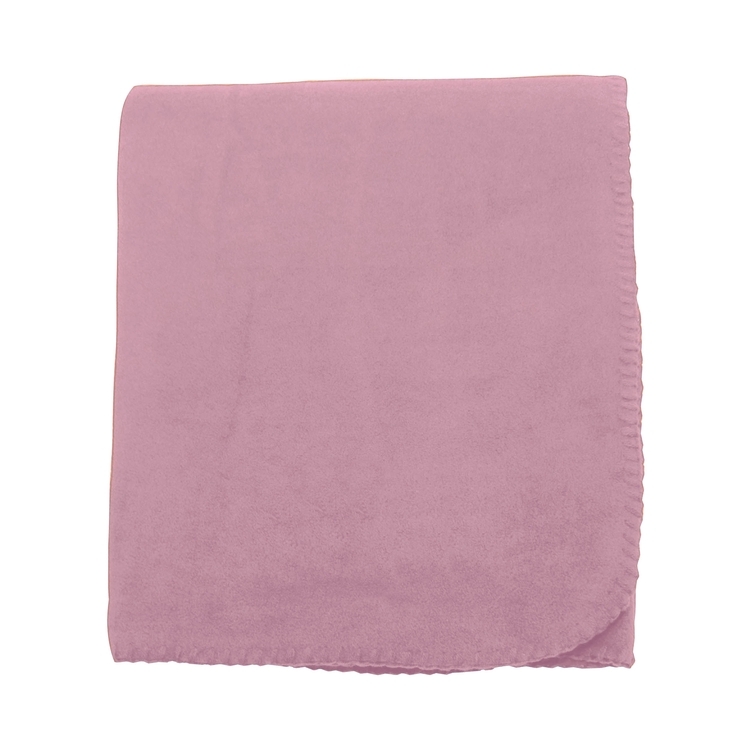 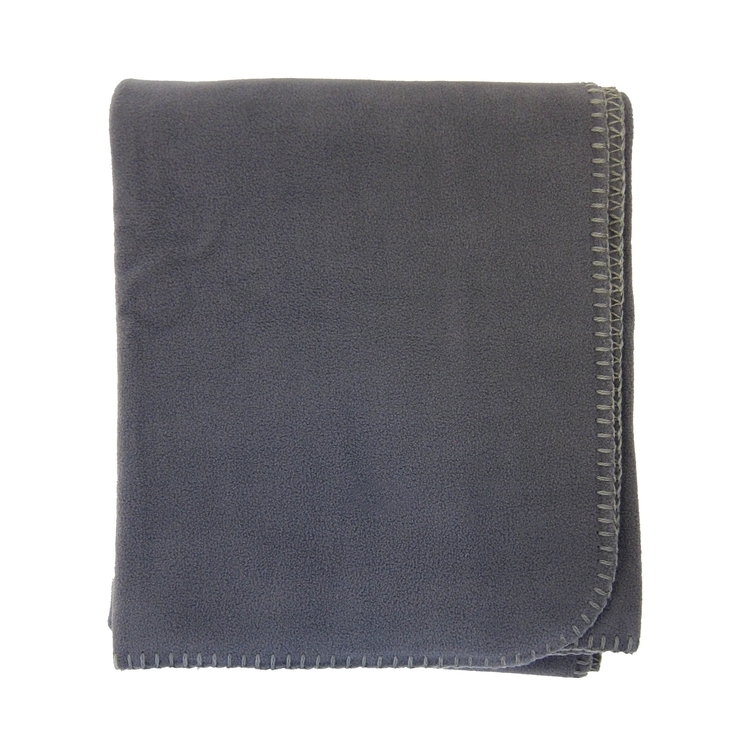 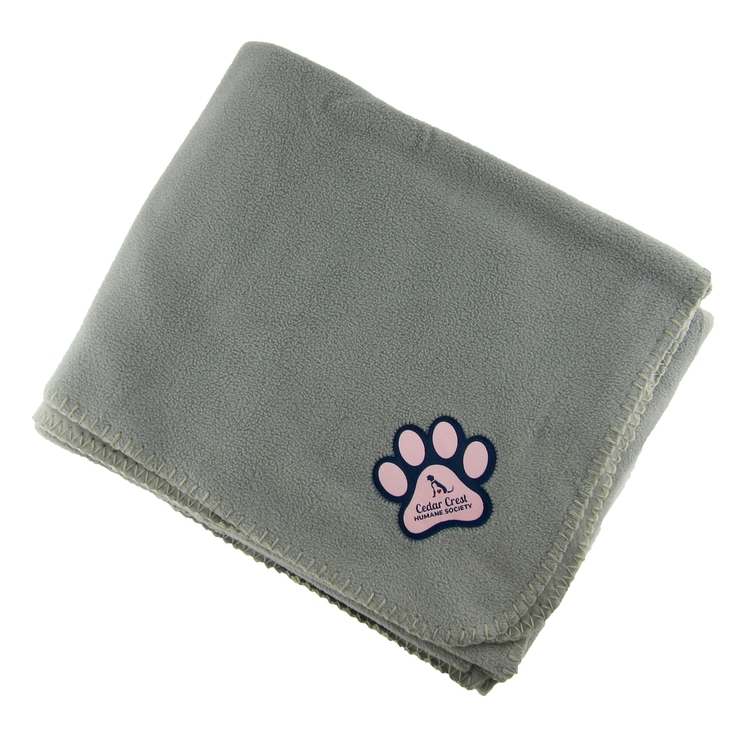 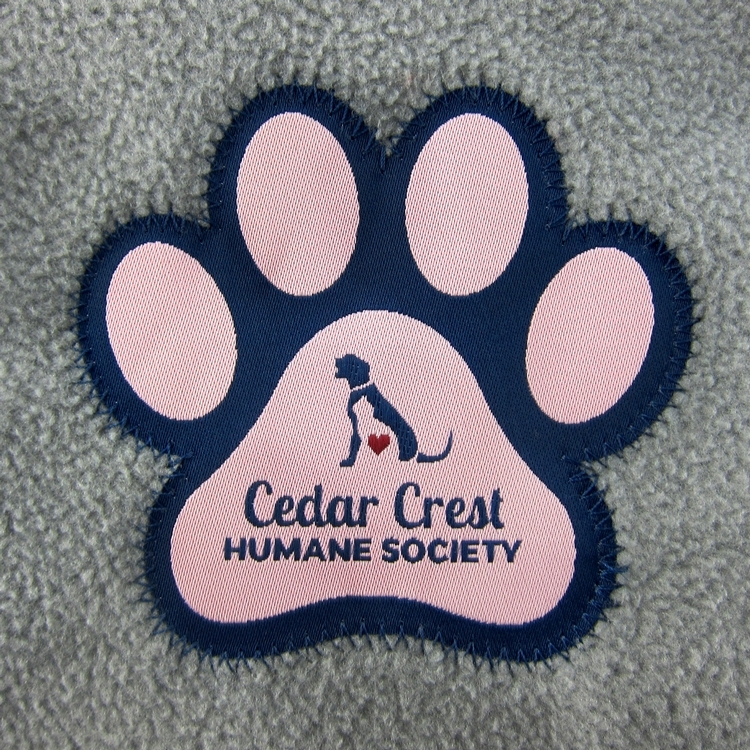 Price includes blanket with woven fabric square label with up to 8 colors. 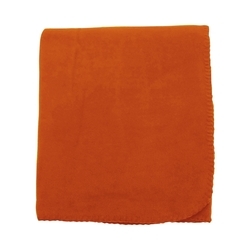 Product Colors: 15 colors available. 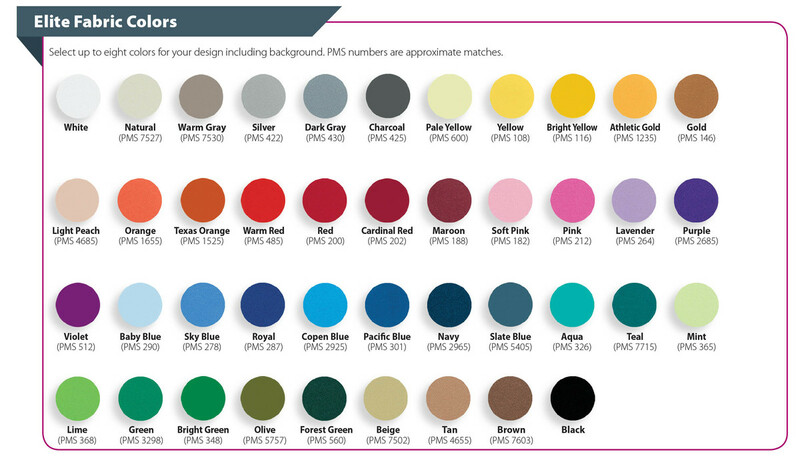 See color chart image. 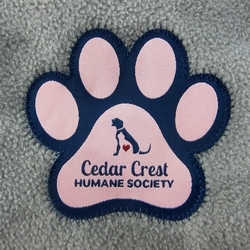 Imprint Colors: See color chart image. 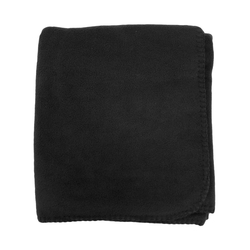 Set-up: $45(G). 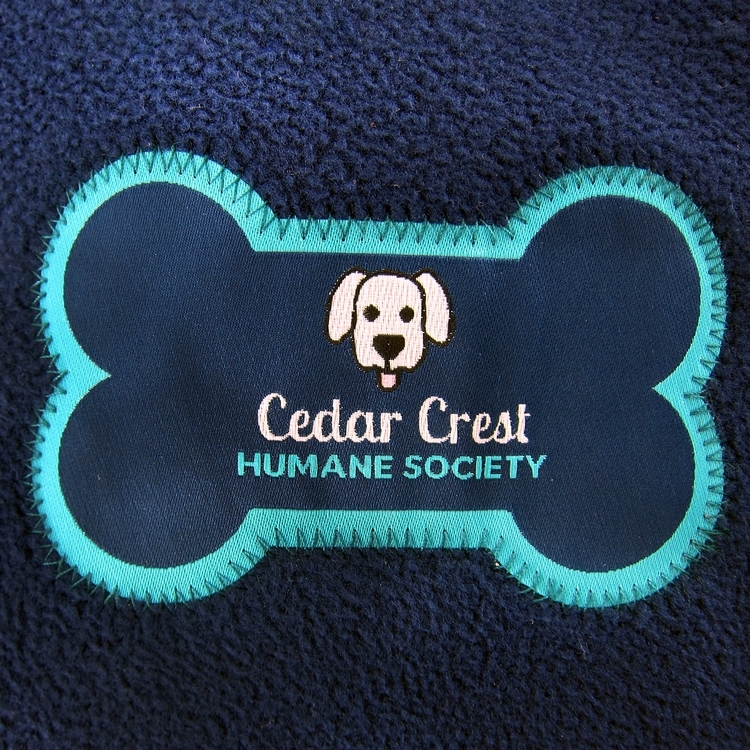 Additional $20(G) for die-cut--(paw or bone) designs. Exact repeat set-up: No charge if within 2 years.